Tasco Berhad is a subsidiary of Yusen Logistics which in turn is a subsidiary of NYK group (Japan) . TASCO provides logistics solution covering air, sea and land transportation for domestic & international shipments. Tasco had just released its latest 3rd quarter report weeks ago. A slight drop in revenue but recorded a improved nett profit for the cumulative 9 months period for year 2012 compare with previous year thanks for a better profit margin control and better performance from the domestic logistic department. EPS for nine months is 21.1 cents. 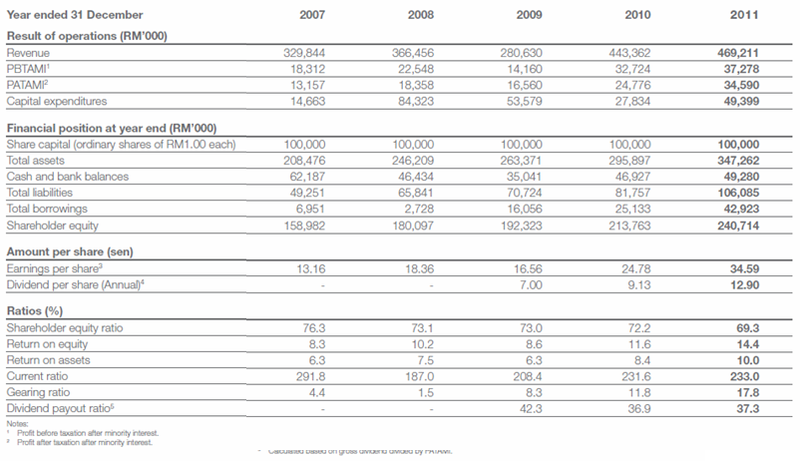 Foresee EPS for whole year 2012 will be around 30.0 cents as Tasco usually recorded higher earnings at fourth quarter. With this earning, the PE is around 6~7 based on the market price of RM2.00 per share, which considers undervalued. 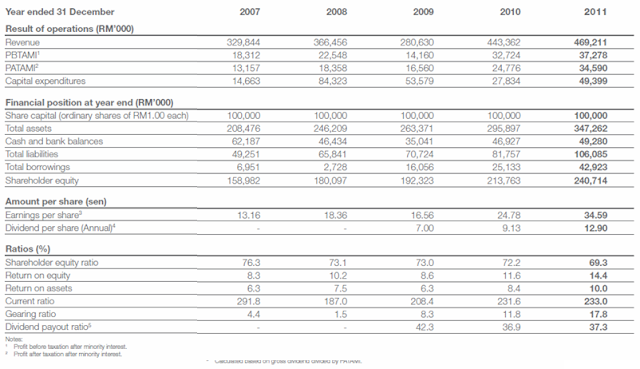 At the balance sheet, Tasco has around RM53millions cash and FD which translated into RM0.53 cash per share. Not a bad deal to fork out RM2k to own a tiny stake in a company that has RM530 cashback to you. Gearing ratio remained low at 0.40. Tasco has taken some term loans and it should not be a concern as the cash alone can settle all the short and long term loans. In terms of equity, Tasco has a considerable amount of retained profits and its NTA is well above its par value of RM1.00. Thus, there is a mathematical chances Tasco will perform a bonus share option to increase the market liquidity, perhaps 3-to-1 or 4-to-1? Looking back on its 5 years performance, ROE is around 10 and profit margin is around 7%. The management team should pay more attention to improve the ROE and profit margin but it shows some improving trends consecutively for the past 5 years. That's a good sign. Tasco started to give out dividends since year 2009. It has not fix any dividend policy but the dividend payout ratio is in the region of 36-43% for the past 3 years. As of this year, it just declared the first ever interim dividend of 5.4 cents. That is another good sign. Look at its segments performance, the international business division contributed around 40% of the overall revenue but only contributed to a mere 10% of overall profits before tax due to very poor profit margin. The contract logistics division served as the main contributor to Tasco's profit which contributed up to 80% of Tasco's overall profit. Perhaps that is the reason why Tasco invested and launched two new warehouses in Bangi and Shah Alam respectively in 2H 2011 to cater the customer demand for warehousing and contract logistics services and both warehouses will make full year contributions to financial year 2012. Tasco is yet another company with good fundamental that suits long term investors but one must keep attention on its every latest quarter reports due to its low profit margin as any big change of business will have a significant impact on it's earnings.